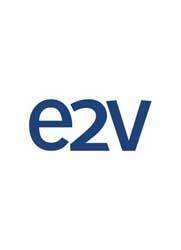 e2v is a leading global provider of innovative technology solutions for high performance systems across a range of specialist markets. Working in partnership with private sector companies, civil, defence & public security agencies around the world, we apply our expertise in RF power, high performance imaging and hi-reliability semiconductor technologies, to deliver products, systems and vital services. Security and rescue services operate in environments which are both dangerous to personnel and tough on equipment. This places reliability and performance demands on equipment beyond those of any conventional operational field. We have experience in meeting the requirements of complex defence, space, health and rescue systems which we have applied to our argus thermal imaging cameras, cargo screening sub-systems and RF Safe Stop technology. RF Safe-Stop™ generates a non-lethal pulsed beam to temporarily deactivate a ground or water based vehicle’s engine. It transmits a non-lethal microwave energy pulsed beam which couples into the vehicle’s electronic systems to confuse the engine management system, temporarily deactivating the engine.